Product prices and availability are accurate as of 2019-01-13 15:32:27 EST and are subject to change. Any price and availability information displayed on http://www.amazon.com/ at the time of purchase will apply to the purchase of this product. 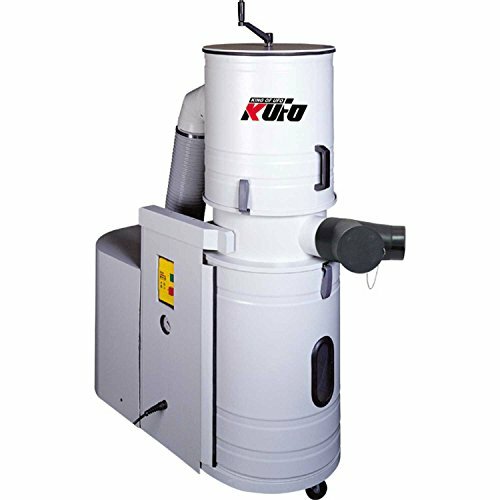 Designed for all types of fine dry dust when working with materials not limited to just wood dust, but also corian or MDF,fiber glass etc. which produce large quantities of highly toxic abrasive particulate matter. Good for industry like woodworking, food processing,pharmaceutical,machining etc.With 1356 CFM, 3 HP, 1 ph, 220 V, filtering area up to 10740 sq. in. Bag Volume of 33 Gallon. Inlet diameter 5".